Idle Hands: WWE Studios and Lionsgate Partner On "Action Six-Pack"
WWE Studios and Lionsgate Partner On "Action Six-Pack"
Lionsgate (NYSE: LGF), the premier next generation global content leader, and WWE Studios (NYSE: WWE) are extending their longstanding partnership to encompass six new action films which will serve as starring vehicles for WWE Superstars as well as incubators for new and emerging talent, the two companies announced today. The popular directing team of Jen and Sylvia Soska (SEE NO EVIL 2, AMERICAN MARY) will return to the WWE Studios and Lionsgate fold to direct VENDETTA, the first installment of the “Action Six-Pack” series, which will commence photography this summer and feature WWE Superstar Big Show® (YAY SOSKAS!). The second installment of the "Six-Pack" series, which is currently in development, will commence photography this fall. 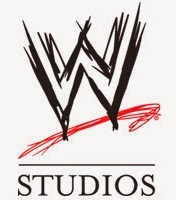 WWE Studios will leverage its extensive multi-platform reach to promote each film.